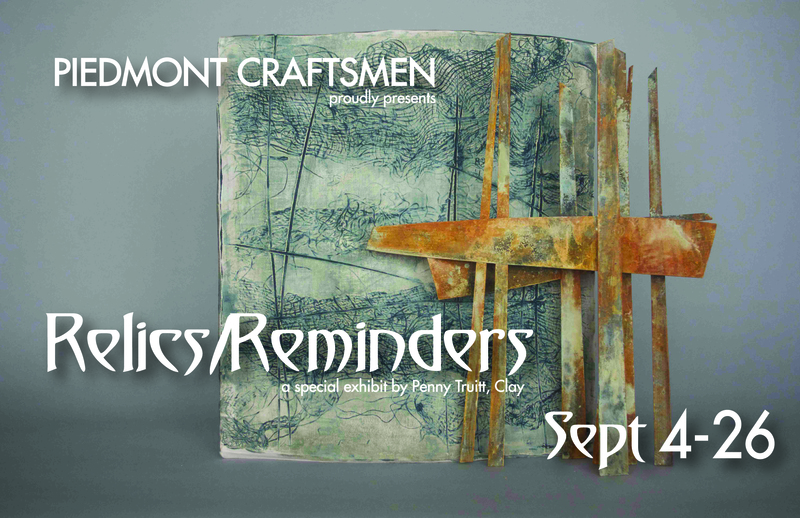 Piedmont Craftsmen presents a special solo exhibit featuring the work of Penny Truitt. Exhibition runs Sep. 4-26, opening at the September Gallery Hop, 9/4, from 7-10pm. "These sculptures are an attempt to embody the intention of permanence and the futility of that pursuit. They are made to recall that inherent flaw, and remain as witness to our past and present. Patterns imprinted on the land are shadows and echoes of exploration, displacement, and resettlement. They reveal a history of activity that is equally notable. Some are in response to those traces, also evidence that exposes our history and presence. "